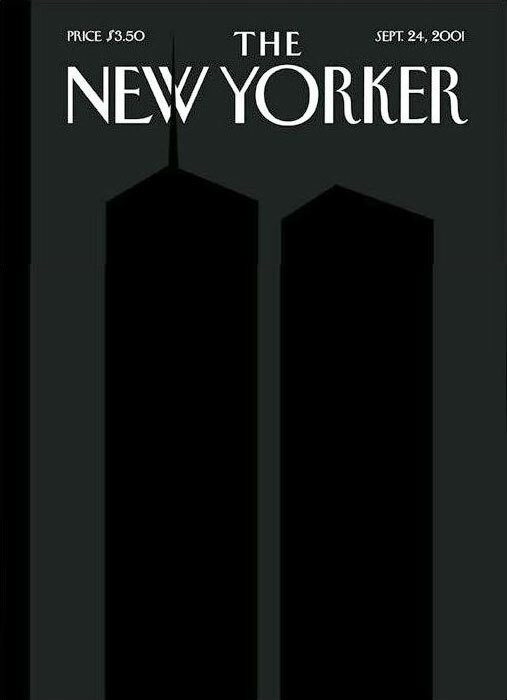 Immersed as I am in Malory’s Roman War account, it suggests a context for reflection on the tenth anniversary of 9/11. Stepping aside from the current moment in this literary itinerary to Rome, I think ahead to the end of Arthur’s reign in Malory’s story. There one finds an acute sense of grief that, like 9/11, is at once intensely personal and intensely national. Camelot is torn apart by factionalism, and the sense of security once created by the fellowship is now in tatters. ‘Alas,’ seyde the kynge, ‘this is to me a full hevy sight, to see this noble deuke dye for my sake . . . Alas, that he wolde nat complayne hym, for hys harte was so sette to helpe me. Now Jesu have mercy upon hys soule!’ Than Sir Bedwere wepte for the deth of his brother. In Geoffrey of Monmouth’s version of the Roman War account, Arthur’s journey to Rome is never fully completed: while he is campaigning across the Continent, Mordred’s factional maneuvering breaks out at home. Arthur returns to a nation in the grip of civil war, a crisis that undoes both his reign and his life. In this older version of the Arthurian legend, there is no love triangle between Lancelot and Guenevere and, indeed, no character of Lancelot at all. The end of the Roman War story is the end of Arthur’s kingdom. By the time of Malory’s 15th century version, the French Arthurian stories–with the adulterous affair of Lancelot and Guenevere–had become a central part of the mythology, and Malory interweaves them into his story, shifting this relationship to a central place in the destruction of the realm. In Malory’s tale, Arthur completes his Roman War campaign victorious, returning home to a unified Britain; the famed destruction of Camelot is postponed. But when it comes at last, it synthesizes personal infidelity and political infidelity. There has been a chasm between expectations and reality . . . the actuality has been that terrorist acts on American soil in the succeeding years have been, as always, largely homegrown. So many things were expected to be different that have not been. Time passes and passes some more. In this statement, Arthur cautions against the overdetermination of his kingship and acknowledges that he is, in the end, one man. From here, though it seemed impossible to conceive during the “Day of Destiny” when civil war broke apart the Table Rounde, the knights do continue, either as monks or, as in Caxton’s printed version, as Crusaders. I suspect that it may have been the more ideological printer, William Caxton, who attached the Crusades ending to Malory’s tale, and, in that regard, Caxton shares a rhetorical sensibility we have seen post-9/11, one that has provided the rationale for a Crusader-like war in the Middle East. And yet, despite all, the body politic lurches forward, though beset by foreign threats and internal strife, perceived or real. Ten years after 9/11, a day in which I, too, was aboard a trans-continental flight from the east coast, we have somehow managed to stumble forward, amid a sense of personal grief and a more acute awareness of national fragility. It is this, perhaps, that the Arthurian legend speaks to most powerfully—not so much the grand, large-scale ideals, but the way in which these larger-than-life figures and epic endeavors—the conquest of Rome, no less—are fleeting and, in some ways, delusional, ultimately as transitory as a single, bodily life. 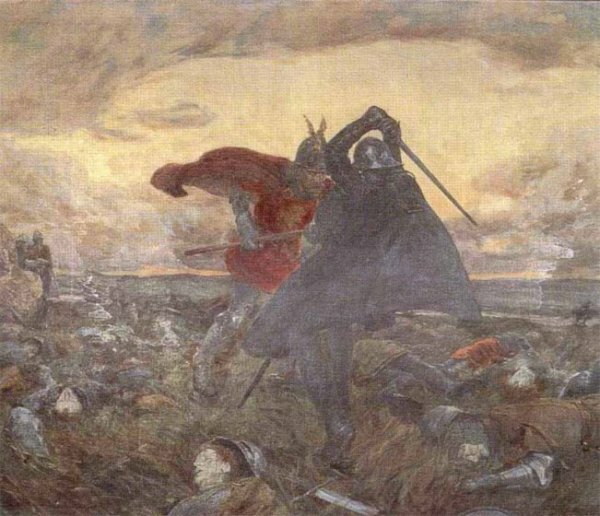 The death of Arthur is perhaps just that—the death of Arthur: not of England, or of Idealism, or The American Way of Life As We Know It. Yet I woll not say that it shall be so, but rather I wolde sey, here in this wordle, he changed hys life. Malory means simply this: Arthur has died. Having degenerated from the nobility they had enjoyed as Britons, the Welsh never again regained the kingship of the island. They instead foolishly persisted in their quarrels with the Saxons or among themselves and were hence constantly engaged in foreign wars or civil unrest (217, Michael Faletra edition). The Arthurian story is, in this sense, as much about the stubborn persistence of human factionalism (and the potential for personal sacrifice within that chaos) in 1565 when Malory wrote his ‘grete boke’ as it was in the late 12th century when Geoffrey wrote his “History,” as it was in the time–real or imagined–of Arthur in post-Roman, 6th century Britain when he undertook the conquest of Rome. As much as it is in 2011. Gallery | This entry was posted in Uncategorized and tagged 9/11, King Arthur, Roman War, Thomas Malory. Bookmark the permalink.